Can the UK construction sector overcome the lengthening skills gap? There is widespread hostility to Brexit amongst the construction industry; with a majority fearing that it will severely increase the labour shortage in the UK construction industry as the supply of labour from the EU decreases. Following results from a recent survey and supporting data, Anjni Varsani, Cost Manager at TowerEight, provides an insight into why the UK construction industry needs to call for action to overcome the lengthening skills gap. According to our survey, 82% of respondents suggest Brexit will create a shortage of labour, indicating there is a firm reliance on EU migrant labour in both the skilled and unskilled areas. The research found that a failure to introduce government intervention around training and promoting awareness of the construction industry in schools were crucial limitations towards the UK construction worker resource. Small to medium companies are impacted the most severely by skills shortages as it hinders the growth and development of their business, and the Office for National Statistics (ONS) shows that 98% of construction firms are SME’s in the UK (under 80 staff). Women in construction account for just 12.4% of the current construction workforce, according to ONS. To overcome labour shortages, the industry needs to attract a wide range of workers from both genders and all ages to develop a high-quality output while giving them better training and development opportunities. Technologies need to be enthusiastically embraced for construction to become more productive through off-site construction and to govern new technologies through extensive research and development. However, the construction industry is too fragmented to push through such radical changes so quickly. The training and education system for the sector is not fit for purpose for the UK construction job requirements. The relevance of academic institutions is questionable in meeting skills gaps in the UK purely in terms of getting to the scale required. Government agencies should act and establish a strong support of construction workers and help achieve greater alignment between demand and supply requirements. Stronger partnering between educational institutes and employers can assist in developing the relevance of courses. To develop this agenda, a single advanced body should be responsible for construction skills and training, as well as tasked with attracting young people from schools into the sector. This will allow for construction to progress to evolve to meet sectoral demands and provide the training required for a skilled, domestic workforce that is fit for purpose. CITB and the Apprenticeship Levy already exist but merging the two bodies into one seems a more efficient way moving forward, speed up decision-making and reduce bureaucracy. The Apprenticeship Levy was enforced in April 2017 – it applied to employers with a payroll of more than £3m then 0.5% of this payroll bill above that threshold was placed by HMRC into a fund for construction apprenticeships. However, only around 2% of all employers in construction will pay this levy due to a large number of small firms in the construction industry. The current strategy for training will only help to soften the impact of Brexit impact; it will not resolve the fundamental issues of attracting new talent, particularly women and minority groups. 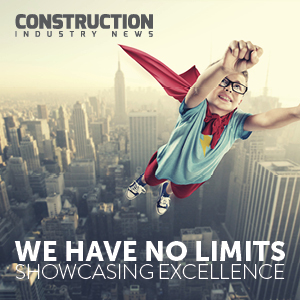 What could be introduced in the UK construction sector? Resident labour market tests to prioritise UK workers in areas of higher-than-average unemployment. Real change will only come should the industry become more integrated and find innovative ways to collaborate as a sector. A streamlined and proactive programme to boost skills training and attract the best talent from all backgrounds is a priority. The funding involved would surely produce efficiencies in construction through the adoption of technology that would pay back the initial outlay rapidly. A consistent programme of public sector investment could add surety to the boom/bust cycle that inhibits the adoption of new and investment in training. Regardless of a soft or hard outcome to Brexit, the sector has significant structural issues that must be overcome if we are to meet housing targets and complete the infrastructure that the country needs for growth. This requires collaboration, forward-thinking and dynamism that has been lacking within the sector for decades.